Time really flies so fast. My daughter turned 3 years old a couple of months ago. It feels like she was just an infant days ago. She is growing fast. Well, I should say way too fast than what I could imagine and hope for. But of course, I like it. Next thing I know, she will go to school and a couple of years later, be a grown up lady. For me and my wife, we believe that there is no better time to teach our kid about life than when she is young, free from outside influences, free from distractions, and others. We believe that good values and great lifelong principles start inside our home sweet home. For us, raising a financially responsible and educated daughter starts even before she knows what money is. I learned the value of money at a very young age. My family of 11 didn’t have anything but a couple of pesos every day, which equated to a few US cents. I knew that we didn’t have a lot and learned to survive with what we had. The lessons I learned from my childhood days dramatically contributed to how I view money differently. Of course, I made money mistakes along the way but those mistakes provided me lessons as well. Teaching my daughter about money is not just about teaching how to manage money, where it should be spent, how much she needs, and others. It is also about teaching her the behaviors and the skills that will accompany her well in money-related decisions she will make in the (near) future. Here are some lessons my wife and I teach or will teach our daughter. Over the years, we have managed to pick up some financial lessons from our extended families that we will pass down to our daughter. These lessons are also included in this list. What my wife and I learned in the past couple of months or years from raising our daughter is that we continuously provide her both her needs and wants. I did state in my old posts that we managed to only give her what she needed. It is different now. As she grows, her needs changed and her wants started to become more visible. As much as we want to just give her what she needs, we just are not able to do. Having said that, we teach her what she needs. We don’t give in because she wants something and she’d cry if she doesn’t get it. We are flexibly firm in instilling her that needs comes before wants and that wants come later or way later. So far, we are doing good in that department. We don’t want to deprive our kid. This is why we provide her with all her needs and a couple of her wants. After all, she is a kid and deserves to act like a kid. We were once kids and we got away with having some of our wants granted and we grew up to be financially responsible individuals. Read more at Why It's Hard To Differentiate Needs From Wants? When I was growing up, my brothers and sister would say that they’re not the bank. I knew that but it didn’t sink in me until I was old enough to realize that what they meant was they couldn’t give me money when I wanted some spare change from them. I have seen kids who ask for a lot of things from their parents like their parents have all the money in the world. I’ve seen spoiled kids who think that they deserve more and need more than what they have just because their parents have a lot of money. This is just me and other people can do whatever they want with their money. I don’t intend to hurt or aggravate people from making this statement. My wife and I plan on telling our kid that we are not a bank that has endless supply of money. We will tell her this in a more simplified, easy-to-understand way than what my siblings used to tell me. As parents, we want our kids to have better lives than what we have had or will ever have. We provide them the education, the help, the necessities, and others because we sometimes feel that they deserve them or need them. Sometimes, some parents want them to make no mistakes, to not get hurt, or to be somewhat perfect. As parents, we want what’s best for them. Having said all these, it’s not always bad for kids to make mistakes. It is these mistakes that they will learn more about life and making mistakes financially is no exception. I made financial mistakes in the past but I learned and rose to become a better person because of those mistakes. I say to let kids make financial mistakes but be there to help them especially when they need you the most. Even when our daughter is still young and doesn’t know anything about investment and saving, my wife and I started funding her college funds and setting money aside for her. We will show our daughter by the time she starts learning about money how much she has and how possible it is to accumulate money with time and discipline through saving and investing. As my mentor used to say, that is, you shouldn’t tell others that time is money (i.e. compounding interest) when you yourself is not exercising what you are preaching. When I was growing up, I didn’t get reward for getting good grades and helping clean up things in the house. My parents felt like those were my responsibilities as student and as a part of the family. I totally agreed and understood what they did. My wife and I plan on instilling the same values to my daughter. While many parents may think that this is harsh and I completely understand the sentiment. My wife and I believe that rewards are for those things that are out of what kids are supposed to do. Rewards can be results of helping out in the community, volunteering in the church, taking care of things that they are designated to do in the house, etc. One of the things I don’t like about decisions related to money is people telling me what to do with my own money. I know I am not alone in this boat when I said that. My wife and I will never tell our kid where her money should go when she’s all grown up. Now and while she’s young may be different but once she is grown, we will not tell her what to do with her money. We feel that by then, she will have learned the lessons of handling and managing it. We will guide and give her recommendations but, at the end of the day, she will have to make her own financial decisions. We will be here to support and not to dictate. Read more at Why Do You Make Bad Financial Choices? When I was a young kid, I remember walking everywhere to find scrap metals, old newspapers, etc. that I could sell at junk shops. I, together with my friends, did it for fun and to make money. We did have fund and made money. Making money does not mean that one should work 9 to 5 a day. There are ways one can earn money on the side. For kids, they can mow the lawn of their neighbors, do yard sales, and help out when people are moving in and out of their houses. For those who are in their teens or are savvy with computers, they can help type data, scan documents, create apps, etc. They can also create their own blogs and, possibly, make a lot more money. They can also sign up for surveys and make money without even leaving their houses. Here are a couple of surveys that pay out good money. Right now, I am teaching my nephews and nieces who are in their late teens about blogging. While they haven’t published anything, I have been teaching them how to find a niche, write posts, market their future blogs, etc. If you ever want to create and monetize your own blog, I have blog tutorial, which details how you can create a blog in less than 15 minutes. If you sign up via my link, you can create your own blog for just $2.95/month via Bluehost. You will receive FREE domain for 1 year, WordPress Hosting, and more. If you are scared to start your own blog, please don't be. Take it from me, that is, I was scared to start my own blog but I took a chance and it paid off. I earned at least $12,000 even though I've only been blogging for 8 months. For $2.95/month, you have little or nothing to lose but, potentially, a ton to gain. This statement was one of the first money lessons I learned when I was a young kid. Not surprisingly, this was also one of the lessons my wife was thought when she was young as well. When I was young, I heard this a lot of times from my parents down to my siblings. I tried to prove them wrong. How? I attempted to plant a peso coin in the soil, water it, and wait for a month or so to see if it would grow the same way as trees grow. I failed to prove them wrong, of course. My wife and I like to explain to our daughter that money does not just grow in trees. We will tell her that money is earned through providing services and/or selling products. Of course, it can also be earned by winning lotteries but we won’t recommend her to spend her money towards buying lottery tickets where chances of winning are slimmer than getting struck by a lightning. Now, we are living in an almost cashless world where many things can be done online and be purchased at stores using credit cards. I admit that I don’t carry cash as I can pay for my purchases using my credit cards. I use my cards because I get some cash back, rewards, and points from using them. Kids, a lot of them actually, think that credit cards are free money. That mom and dad can swipe them anytime to pay for things they buy. As parents, my wife and I will teach our kid what credit cards are, how they are and should be used, the consequences of overusing it, etc. We are not going to scare our kid but we will show her the realities one can face if credit cards are not responsibly used. There’s funny saying in the Philippines, which is applicable or I see here in America, that people spend even before they earn money. What this does is it keeps a person from saving money. I have seen a lot of people who are in this financial situation cycle and things have not been good with them. Not only are they unable to save but they also tend to incur more debt. My wife and I will teach our kid to earn before spend and not the other way around. We will tell our daughter that, by doing this, she will likely manage her finances even better and save more in the process. My wife and I were raised to always give back to the charity and the community. Frankly speaking, we love it. We believe that we are blessed because we share our blessings to others. For us, what we do brings good karma to us. My dad was only making a few pesos each day, which was not enough to feed a family of 11. Having said that, he managed to help out other people when we did not have enough in the first place. Did we survive? Yes. Did we grow up to be good people? Yes. Did we appreciate every single thing we had and did not have? Yes. Giving back is part of our family’s life. Read more at What Is Money To You? 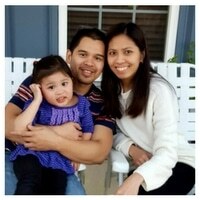 What my wife and I will teach our kid is that she does not have to mirror our career paths and our financial choices. I am so glad that my mom and dad did not force me to do anything I did not want. They did guide and advise me what they thought was best for me but they never forced anything against my will. I turned out ok.
My wife and I do know that we are different from other daughter. We can see how different she is now based on what she likes and what we like. We know this is just a start and we’ll have more differences in the coming years. What we won’t do is dictate what she has and wants to do in her life, that is, for the most part. If she wants to get a nice car when she’s all grown up, we won’t force her not to but we will advise her the pros and cons of doing it. If she wants to buy a mansion, we will advise her the positives and the negatives of such financial choice. 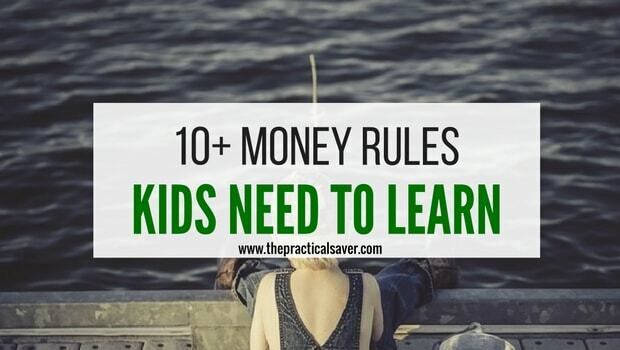 What do you think kids need to learn about money or finances in general? What have you learned in the past that you would want your kids to learn as well? These are GREAT tips Allan! I think the “let them make mistakes” point is a great one that many of us don’t consider. It is natural for us parents to want to rescue our kids every time they get into even a little bind. Letting them feel a little “pain” as the direct result of their bad decisions can be a great learning experience. As parents, we tend to make sure our kids are ok. Sometimes, we go to the extreme by protecting them so much. I agree that letting them feel a little pain is ok because this pain will help them learn in life. We adults make mistakes, learn from them, and we come out as better people. Great tips. Teaching my kids to be good with money is one of my priorities. A 3 year old and newborn so I still have some time but time flies. I definitely need to follow some of these tips. Like Brad, I think letting them make mistakes is a good one, granted it would be tough to see them do so. I think being a good role model is also very important. You can teach them money rules if you don’t follow them yourself. Can’t be a hypocrite. I second to that Andrew. I think, as parents, we need to set ourselves as examples to our children because they will always think that what we do are right. It’s hard to explain to kids something when your actions are opposite than what you are saying. I wish my parents taught me that employment isn’t just for adults. One of my biggest regrets was that I didn’t take a job sooner, I barely figured out to apply for jobs my senior summer and I’ve been working every summer afterwards. The alternative was me playing video games doing nothing productive, so getting a job was definitely not a bad alternative! In my opinion, allowing kids to work helps them become more independent not to helping them understand what money really means.